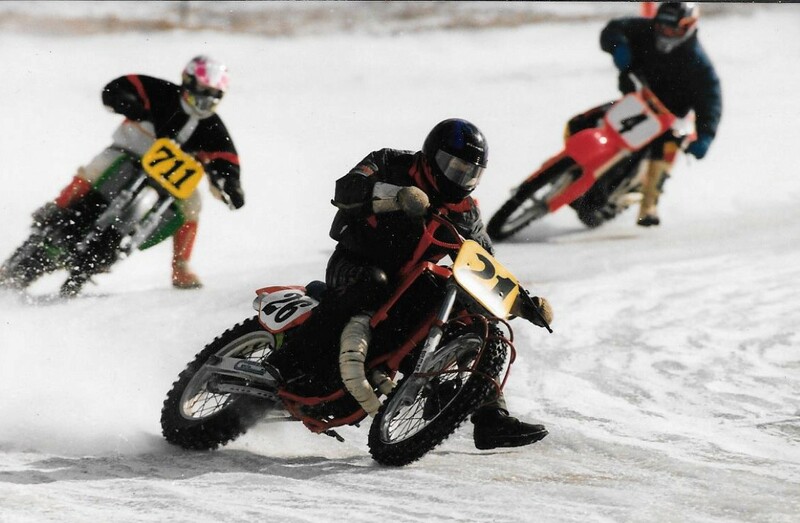 Kurt Biegger Racing has been a pinnacle team in the Flat Track racing scene for over 40 years. The mastermind behind these blazing fast bikes now lives vicariously through his riders young and old. 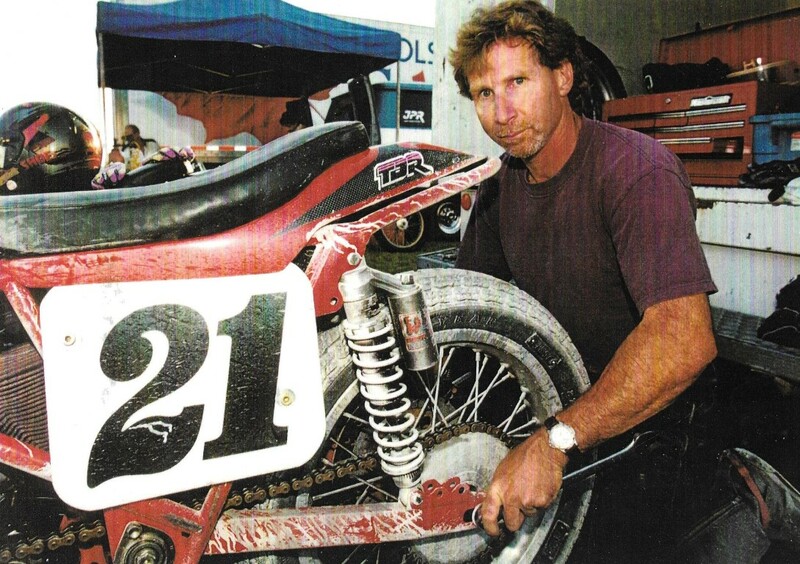 Kurt was a championship rider back in the 90’s in both dirt track and ice racing. His riding career has taken a back seat for now but he is no slouch and has the trophies to prove it. An impressive nine Championships and thirteen Ontario titles to his credit. Between 1994 and 2001, he was exceptional, winning the national 250 Intermediate/Expert championship six times in eight seasons. While Kurt may not be racing anymore, he certainly knows his way around the track. Now in his fifth decade of racing in Canada, Biegger is the busiest man out there who never seems to have enough time in the day. Between building motors, building bikes, crewing for some of the best riders in Canada and holding down a regular Monday to Friday job, it’s a wonder he ever has a chance to eat or sleep. Most nights will see him working long hours in his home-based shop and race weekends don’t get much easier. Biegger can constantly be found at the track tinkering with his KBR (Kurt Biegger Racing) machines as he searches for that perfect balance between motorcycle rider and track. 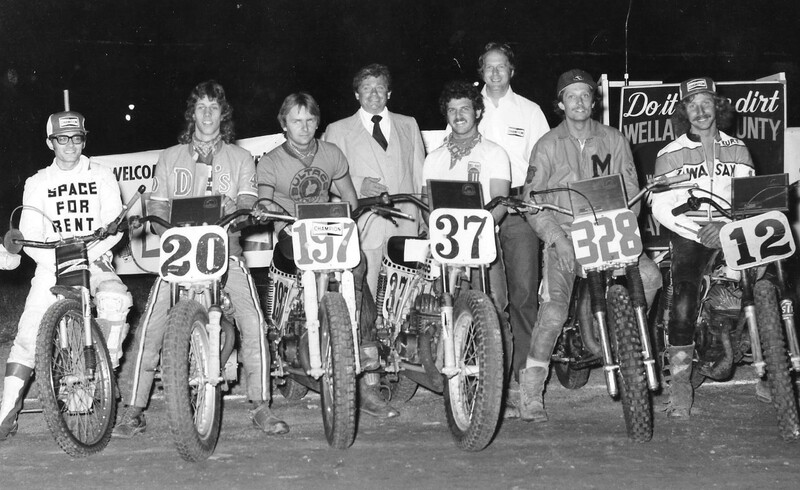 Since that first rider swung a leg over the seat of a KBR machine, the list of riders who have raced on Biegger’s equipment is a who’s who of flat track in Canada. This includes Canadian champions Chris Evans, John Parker, Steve Beattie, Don Taylor, Doug Beattie, Tyler Seguin and Doug Lawrence. KBR riders racked up dozens of wins and a few championships over the years. Sequin reached the winners circle seven times during the 2014 season, won the CMA 450 Expert title and the Flat Track Canada Production Expert Title and finished second in the CMA and FTC Open Expert classes. 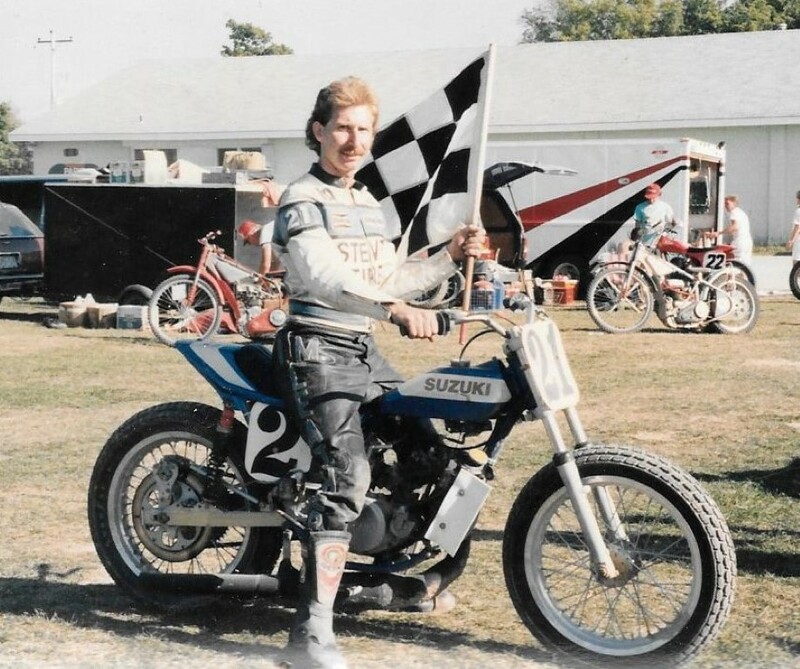 Steve Beattie won four out of the five races he entered and brother Doug won two races while running a limited schedule and PJ, Kurt’s son, finished second in CMA Open Intermediate. As each season opens, Kurt is busy with tuning and on-track support for his riders with the desired result of more championships, of course. He will continue to be at the track every summer after a long winter of meticulous preparation in his shop for his KBR Race Team. Perhaps one day, he’ll be able to swing his leg over a bike again and shown them how its done.